Contemporary folk rock, lyrically charged, Niel Young meets ColdPlay on a bus while on vacation in Ireland. The bus driver plays the banjo. "How do I explain my awkwardness?" 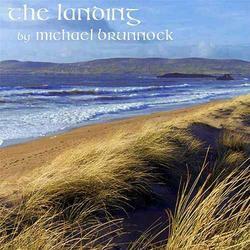 Michael Brunnock sings on 'Shine,' a track from his solo debut album "So I Do." But there is nothing awkward about the album. 'Acoustic,' 'folk,' and 'Irish' are all words that have been used to describe Michael's music and while not necessarily wrong, they hardly scratch the surface of describing what is truly a fresh and unique album. From the moment the drums kick in on the opening track, music lovers will know that they are listening to something special. 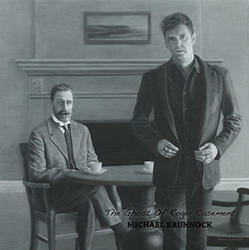 Swirling banjos, acoustic guitar and lush strings lay the framework for the album, while Michael's vocals vacillate between delicate and assertive. In spite of of the instrumentation, "So I Do" isn't what one would call 'world music.' Nevertheless Michael's Irish heritage does creep out on tracks like "Fallen Leaves" and "Born Again" which feature fiddles that will make you swear you've just arrived in Dublin. The latter, a foot-thumping lyrical manifesto that criticizes organized religion, is so charged with energy that to call it impressive would just be lazy. Another track, "Man Overboard" (which features Jenna Nicholls on backing vocals) is so well crafted that its hook will undoubtedly get stuck in your head after one listen. Having been the former frontman of the bands "The Van Winkles" and "Little Palace," Michael is no stranger on the scene. He definitely comes into his own on this disc though, showing a tremendous amount of growth as a musician. "So I Do" is exceptional, for sure. Awkward? Anything but. 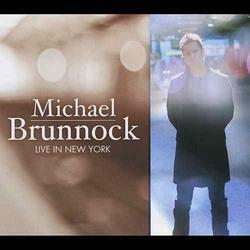 Michael Brunnock was born in Ireland .He now lives in NYC. "I tried potato picking, bartending, biochemistry, zoology, microbiology, math, and teaching math for a few years, cooking and bartending again. "Tough ways to make a living I thought, when your heart is in music". 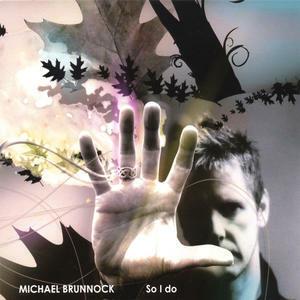 "So I do" is new, to be released on June 10th 2007. I hope it makes me some money. Otherwise I'll be cutting my nails and going back picking potatoes for Benji Dunne in Carnaross. Can you imagine? I have responsibilities ye know?